Set on one a most popular, residential cul-de-sac, this superbly appointed Victorian cul-de-sac, is the perfect home for FIRST TIME BUYERS. Garden fronted, on a tree-lined road, this property comprises of entrance hall, and TWO reception rooms, plus an EXTENDED kitchen, to the ground floor, with patio doors off the lounge, leading to a private rear yard. The first floor offers two DOUBLE bedrooms and a modern, tiled, three-piece bathroom. Boasting Upvc double glazing, gas central heating and SOLD WITH NO VENDOR CHAIN. Call JP & Brimelow, to arrange a viewing. Fitted with a range of base and eye level units. Roll edge work surfaces. Inset stainless steel sink. Tiled splash back. Integrated oven and hob. Space and plumbing for washing machine and fridge freezer. Wall mounted boiler. Tiled floor. UPVC double glazed window to side aspect and door to side aspect leading to rear yard. Two UPVC double glazed windows to front aspect. Television point. Radiator. Ceiling coving and ceiling light point. Fitted with a panel bath with shower over. Pedestal wash hand basin and low level W.C. Part tiled. Extractor fan. Ceiling light point and UPVC double glazed window to rear aspect. To the front of the property there is a small garden. 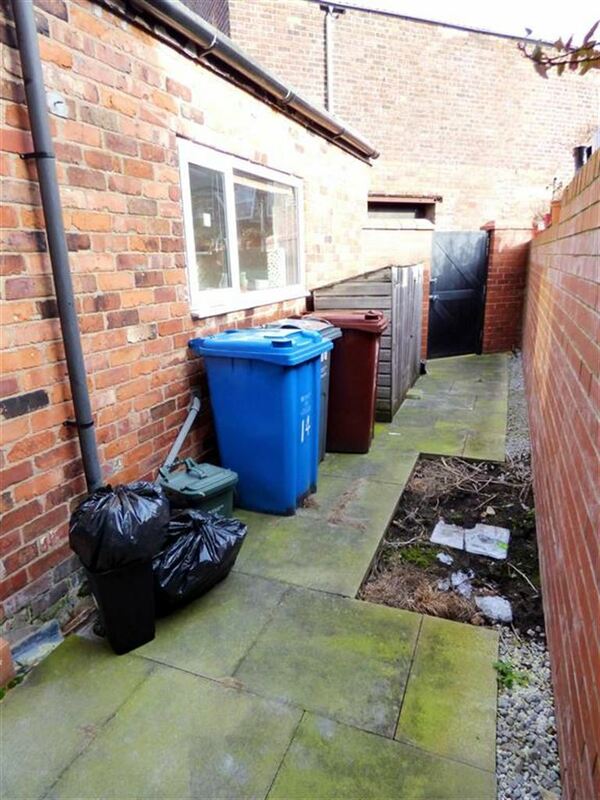 Whilst to the rear there is an enclosed yard with gated access to the rear entry.